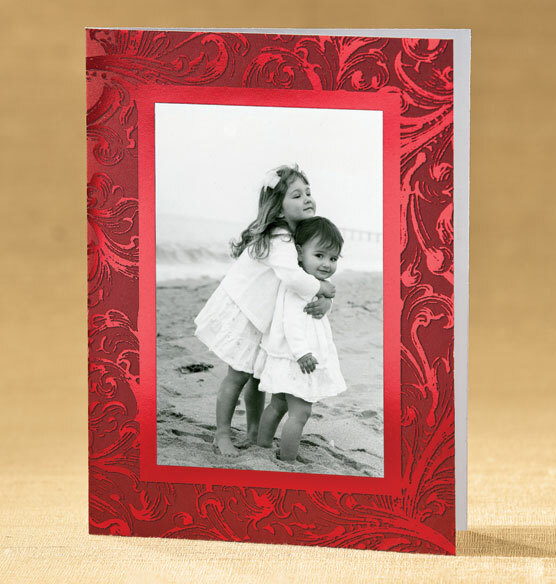 This traditional holiday photo card, adorned with regal scrolls, will make your holiday greeting stand out from the rest. The rich “Christmas red” hue frames your photo with classic holiday charm. 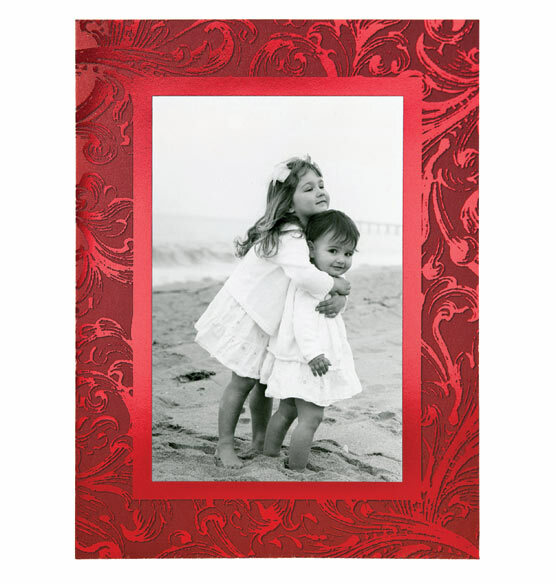 Our exclusive photo holiday cards are the perfect way to stay in touch and share a special moment with family and friends during the holiday season. i like the photo mount. I know it's old school but like it the best. Exposures only one that carries this! I always receive many compliments on the Exposures Christmas cards I order and send every year! I LOVE the photo cards!!! I haven't chosen my picture yet, and I can orient these sideways or vertical. Looks high quality and no negative reviews on the true red color. I liked the classic look and thought it would look festive with our photo. It is a beautiful design, and I have always been very pleased with my prior card orders from Exposures. Because I liked the cards. I love the versatility of your beautiful cards. I can switch out photos easily. I'm no sure yet if my Christmas photo will be in landscape or portrait form, so this will work either way. Knowing the color will also allow me to stage my photo appropriately. I always love the quality of Exposures' cards. They look special, but aren't overly expensive. This card goes well with our photo. We've been using Exposures for our Christmas cards for many years and have always appreciated their great service and quality! 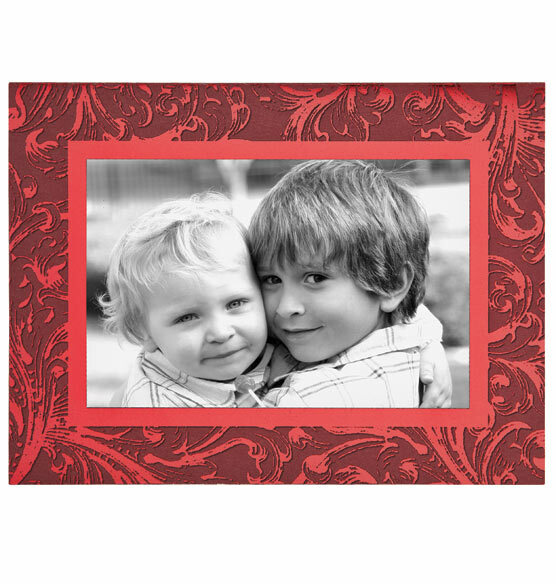 The cards we have ordered from Exposures are always of high quality and very beautiful. BEST ANSWER: Thank you for your question. The card set contains 20 cards and envelopes. We hope this information will be of help to you. how wide and high is the opening of this card for the photo to be included? My 4 x 6 inch photo does not have a large amount of extra space around the people in the photo and I want to make sure that I am not going to have to cut off someone to have the photo fill in the card. BEST ANSWER: Thank you for your question. 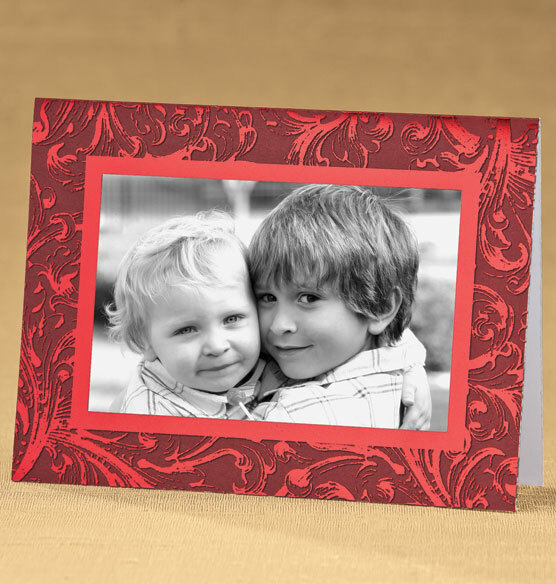 All our cards hold a 4 x 6 photo. We hope this information will be of help to you. What is the weight of the card and envelope with photo included? BEST ANSWER: Thank you for your question. 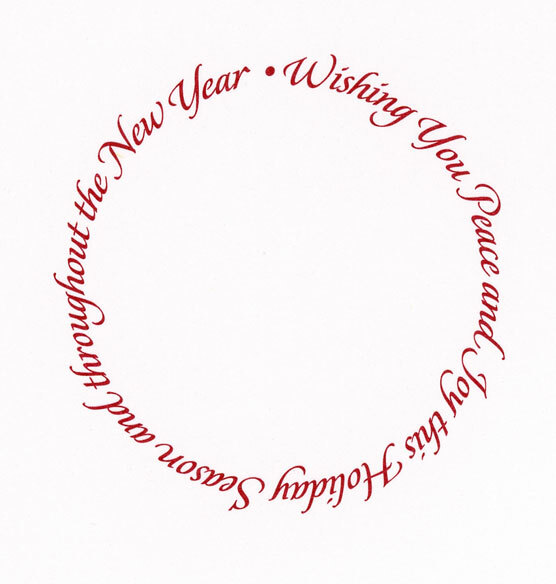 All of our cards are designed to post with one stamp. We hope this information will be of help to you. Are the photos inserted or are they stuck on? BEST ANSWER: Thank you for your question. You attach your photo with adhesive dots which are included with the cards. We hope this information will be of help to you.